Andrea immigrated from Ghana in 1998 when she was only three years old with her family. She is a recent graduate from the University of Massachusetts Amherst with a B.S. in Natural Resources Conservation. UMass Amherst sparked her interest in social justice. 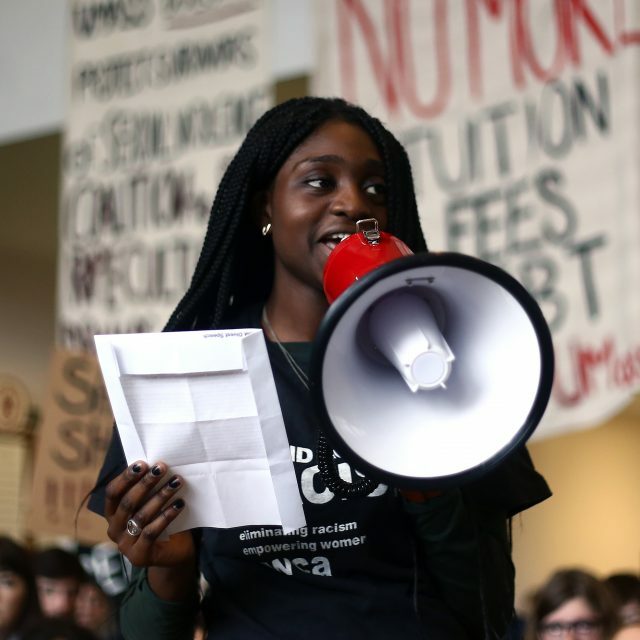 She became empowered to fight for environmental justice with the UMass Fossil Fuel Divestment Campaign, and education justice with the Center for Education, Policy, and Advocacy. She has been organizing for 3 years, and is now the Climate Justice Field Coordinator for Neighbor to Neighbor. When she’s not engaging with the community to push for social change, she likes to read, cook, and explore and be outside.